The epitome of the word handmade, this Murano glass pebble-shaped bead is created in a free-form manner, with each bead slightly different in shape and pattern. 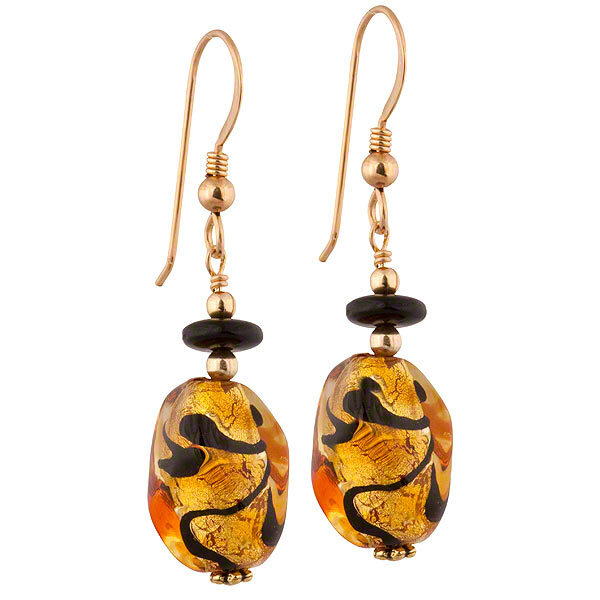 Underneath the topaz glass is 24kt gold foil and black swirl accents. Gold-filled findings. Approximately 1 3/4 inches in length.